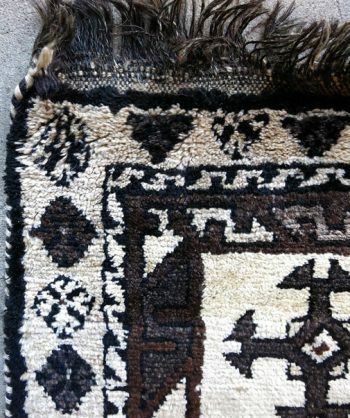 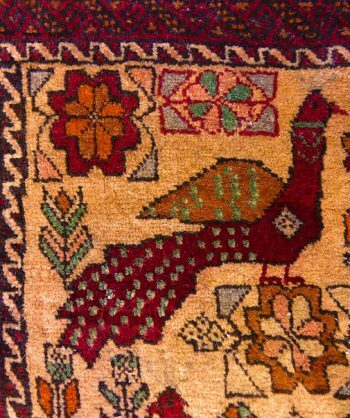 Antique Persian Rug symbolic of a successful Lion hunt. 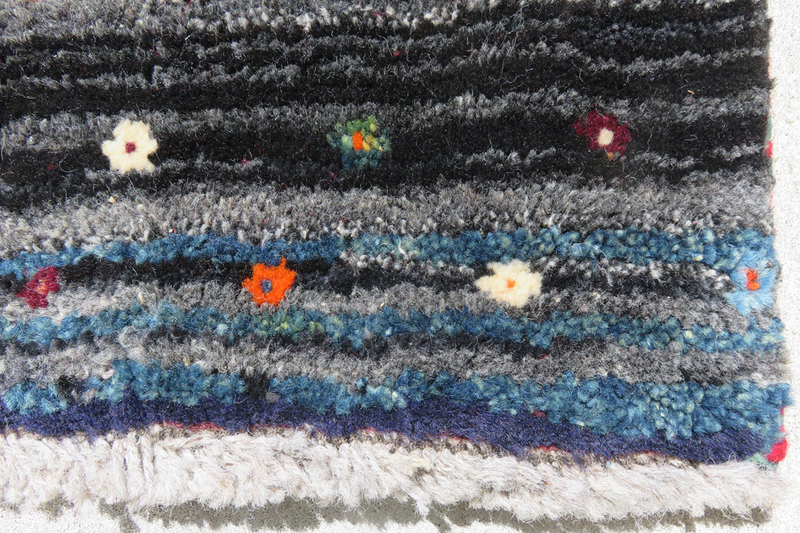 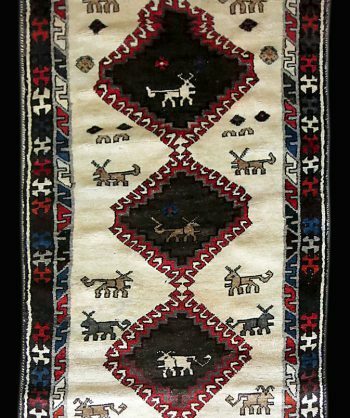 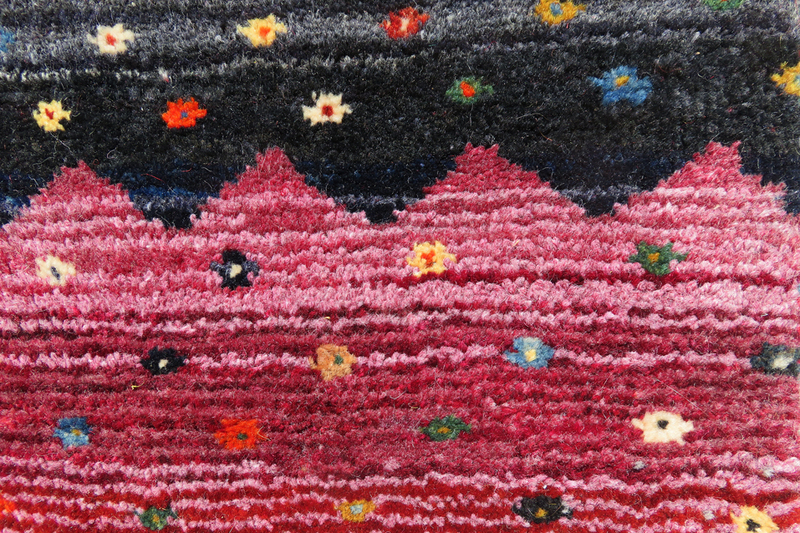 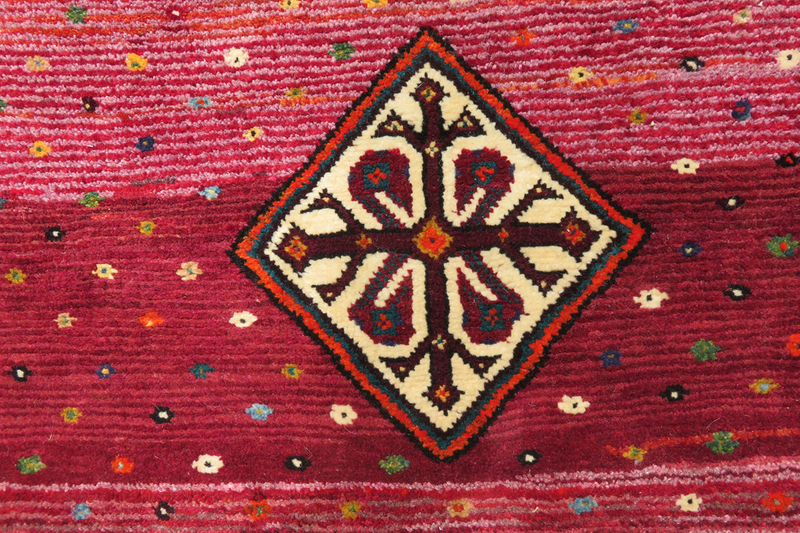 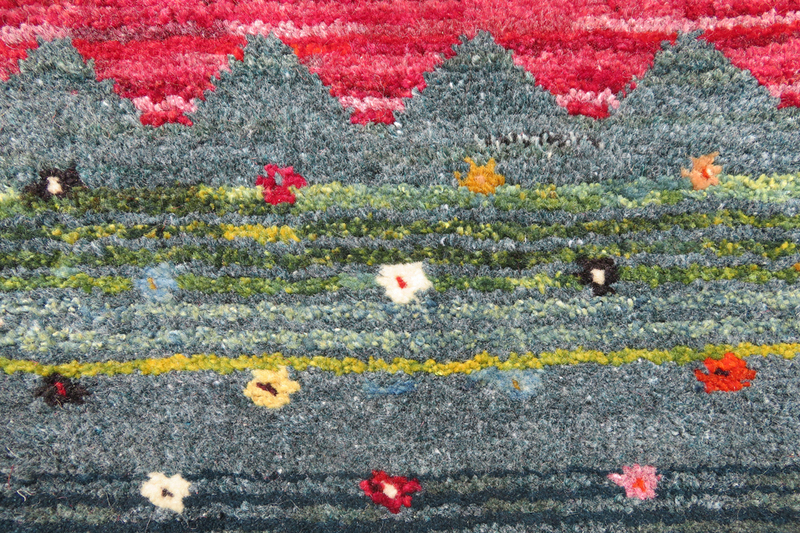 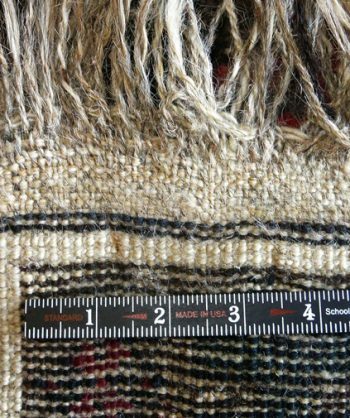 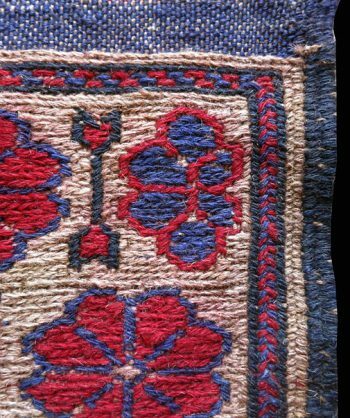 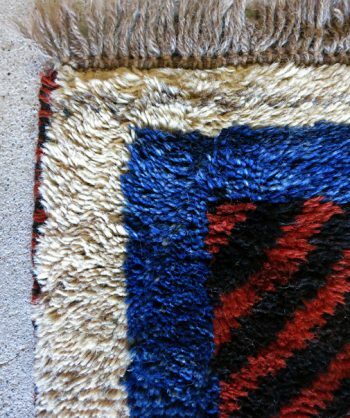 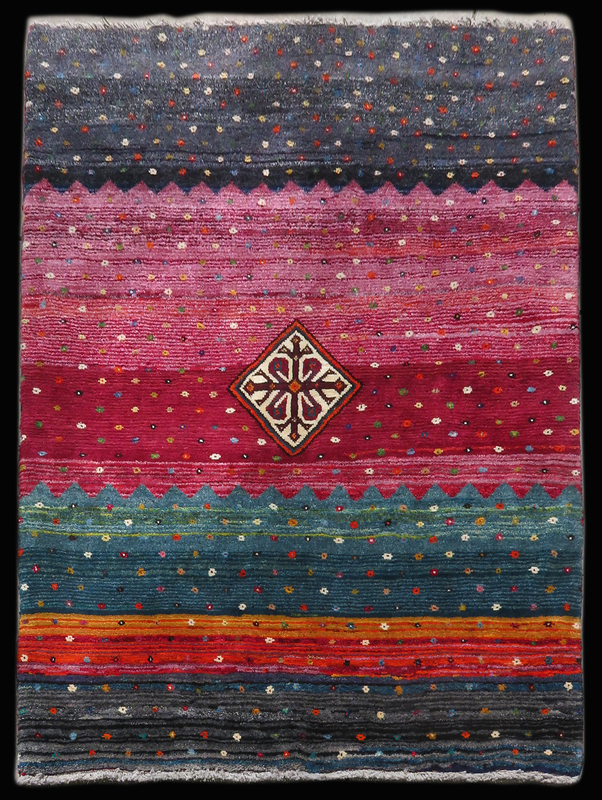 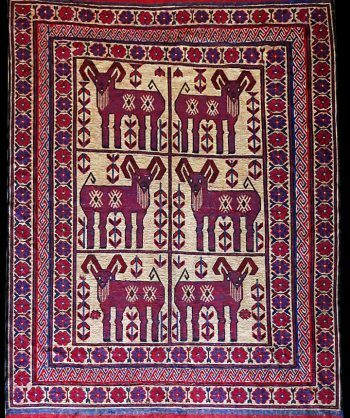 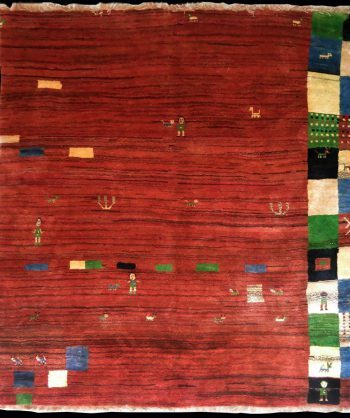 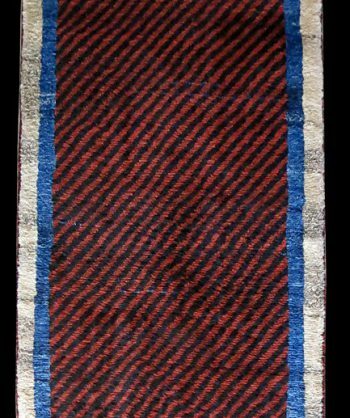 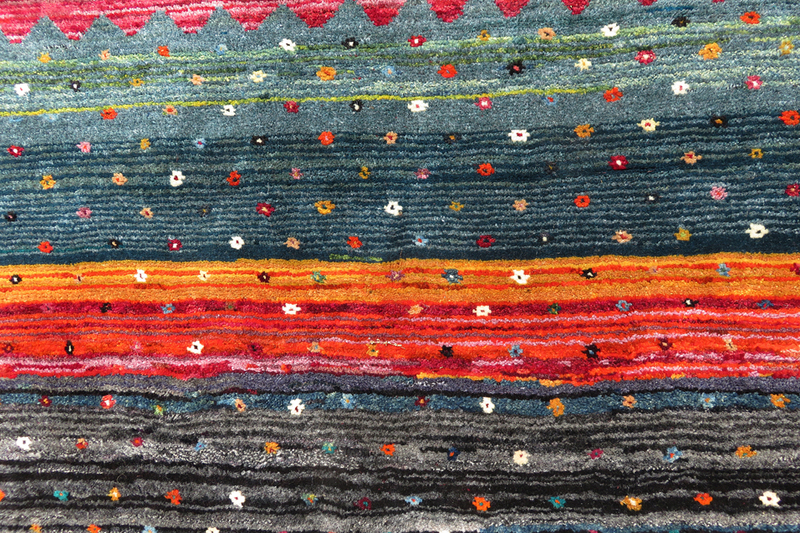 These rugs were woven to commemorate successful p This wool rug was handmade in the 1930s in a small village in Iran.Weavers of these village rugs use bright colors, the most prominent being blue and red accented with greens, golds and beiges. 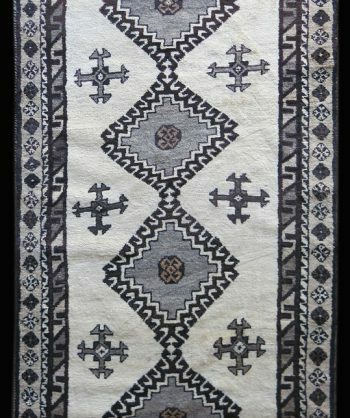 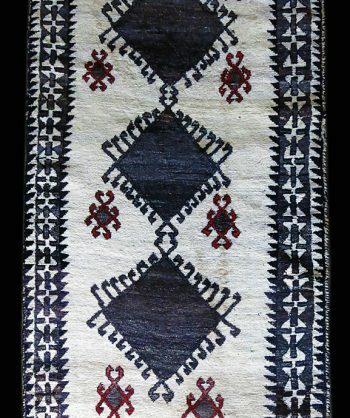 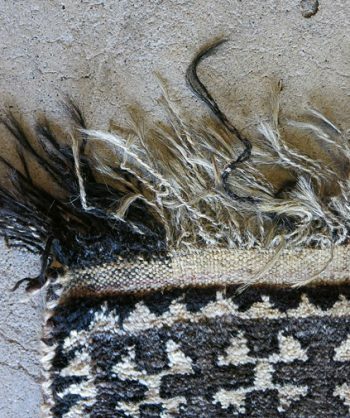 Though these rugs have very intricate patterns they do not seem busy or distracting from the overall décor of any room because of the use of medallions and the border to contain these designs. 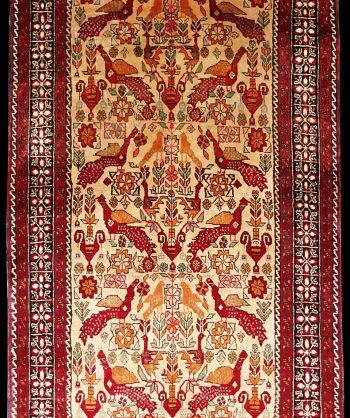 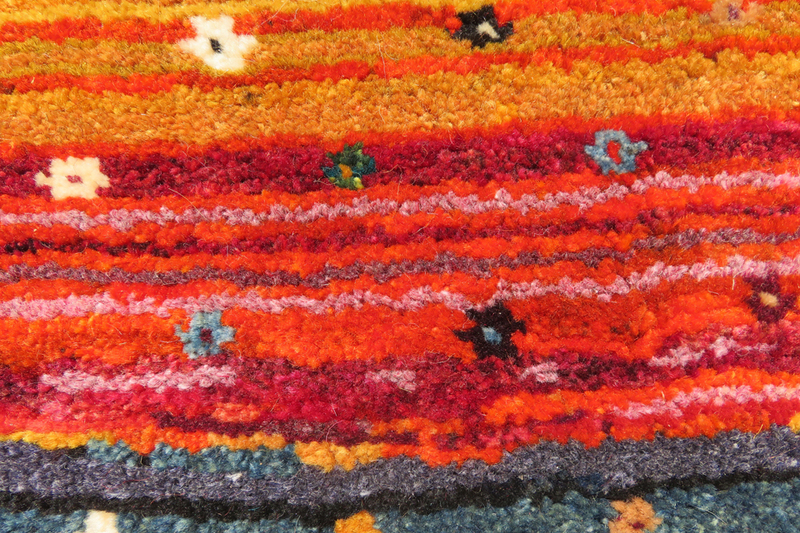 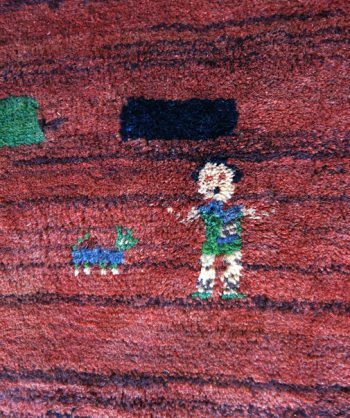 This allows one to introduce many new colors to a room without being too bold about it, in so long as you chose a rug with a background or field color that goes well with the other prominent colors used in the room.ast hunts and to bring good luck and safety to future hunts.